I've said it before, but the characters from the Magical Day Stamp Set are so much fun to color! This time, I just colored the mane and tail of the unicorn with watercolor pencils. It was so easy, and it looks so amazing! The sentiment couldn't have been more perfect for this fabulous unicorn. 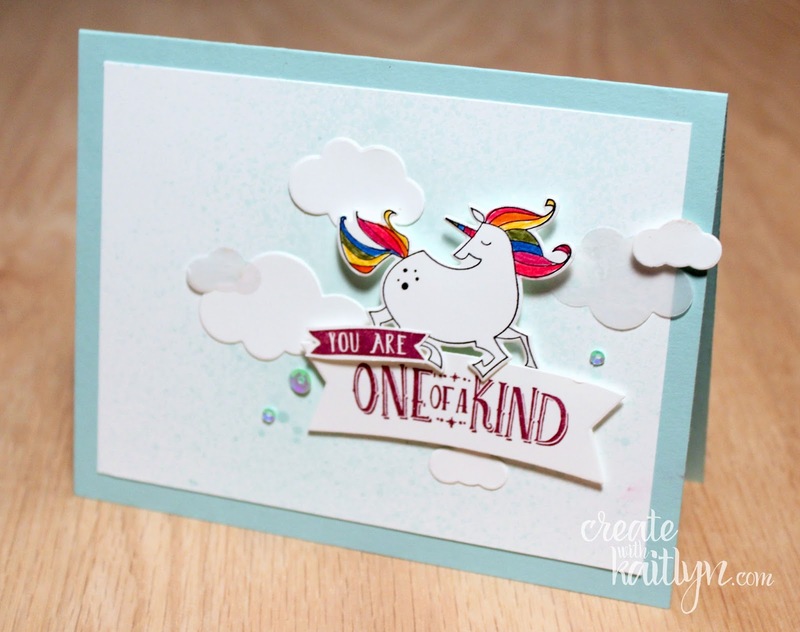 Just some simple layers of clouds and a few sequins is all that was needed to finish off the card. Be sure to use the buttons below to continue along the Monday Montage Blog Hop! So fun! I just ordered this set! Can't wait for it to arrive! 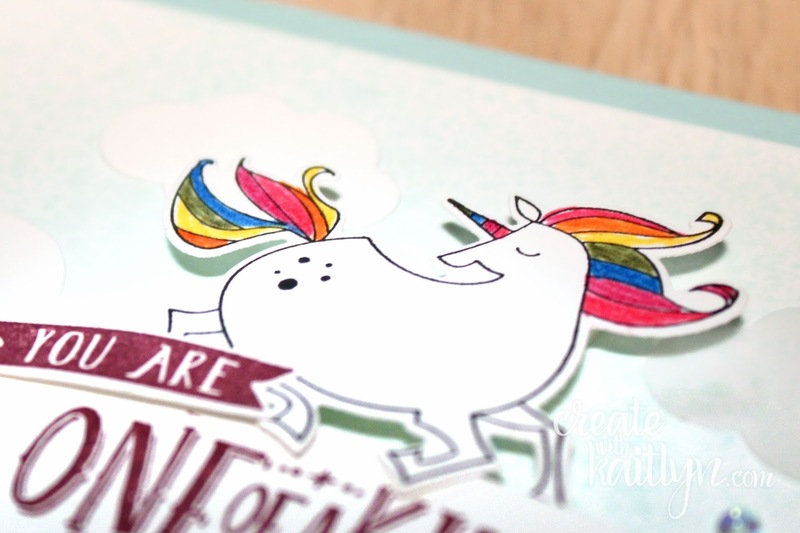 Love your rainbow unicorn!